Denne femspors samleren følger med oktober-utgaven av musikkbladet Mute (kun til abonnentene). I tillegg er den eksklusivt tilgjengelig for salg gjennom Musikkonline. This special five track compilation follows the october issue of the Norwegian music magazine Mute (only to the subscribers), and it's exclusively availiable for sale through the Musiconline store. 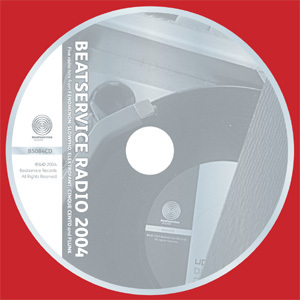 The EP contains five radio-friendly tracks from 2004, a nice and cheap introduction to the latest Beatservice Recors' releases!